This month I’m looking back at some of my favourite books I read in July in each of the years 2007 ‘“ 2010. Click on the titles to see my original reviews, some of my earlier posts are rather brief as I was finding my way on the blog. 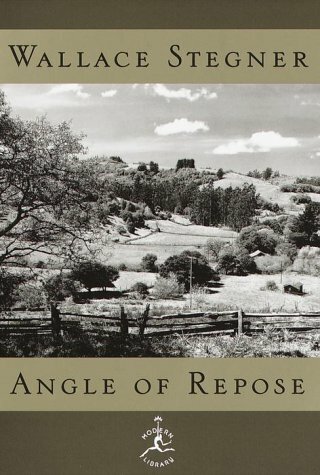 Angle of Repose by Wallace Stegner, historical fiction, the winner of the Pullitzer Prize for fiction in 1972, telling the story of Lyman Ward, a wheelchair bound retired historian who is writing his grandparents’ life history and who also gradually reveals his own story. It’s set in the early days of the opening up of America’s western frontier telling of Oliver Ward’s struggles with various mining and engineering construction jobs, contrasted with his wife, Susan’s efforts to support him against great difficulties. This is made more difficult when she compares her life with that of her New York society friend, Augusta. It’s a long book, but completely enthralling. I could imagine what life was really like at that time and place. 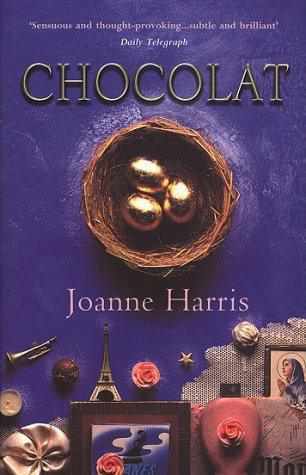 Chocolat by Joanne Harris – a fabulous book, this is a story about Vianne Rocher who arrives in Lansquenet-sous-Tannes on Shrove Tuesday. She takes over the old bakery and transforms it into La Celeste Praline Chocolaterie Artisanale ‘“ in other words the most enticing, the most delicious and sensuous Chocolaterie, selling not only all sorts and types of chocolate treats but delicious chocolate drinks. There is so much more to this book than a simple story about a chocolaterie. It covers an enormous range of topics ‘“ fear of the outsider, prejudice against ‘these people”“ immigrants, vagrants, and gypsies; bigotry; fear of death, old age and illness; and fear that the Church will lose its purity and that the community will be corrupted by liberal and heretic beliefs. It’s also about how so many lives intersect and interact and above all about the importance of love and understanding in everyone’s life. in England in 1348 this tells the tale of a group of people fleeing across the country as the plague moves inland from the ports. The narrator is Camelot, a pedlar. The members of the group, a conjurer, a one-armed storyteller, a musician and his apprentice, a young couple on the run, a mid-wife and a strange child who can read the runes are all liars, with secrets that are gradually exposed as they journey on. This is a memorable story, with a colourful cast of characters. It’s a long book (over 550 pages) and there are many other characters than the group of nine. Yet I had no difficulty keeping track of who was who and it was actually a quick read as I was keen to know what would happen next. It is full of suspense, menace and drama. know right from the beginning who the murderer is, but not why or how the murder was committed. It’s not even clear immediately who the victim is. The narrator, Faith has spent her life avoiding thinking, talking or reading about at the events that led up to her aunt’s hanging for murder. Slowly, very slowly, with lots of hints and questions about how things could have turned out differently the family relationships and events that led up to the tragedy are revealed. This is a book where you can see events and people so clearly through their thoughts and emotions as much as through their actions, but their secrets are so well concealed. 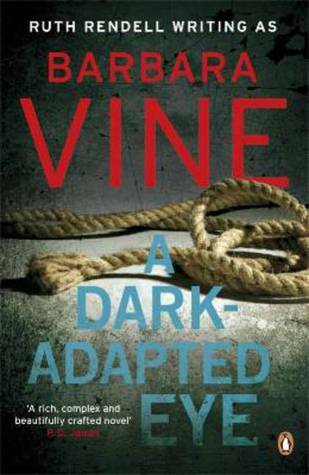 And by the end just when you think you understand it all, Vine throws everything into question yet again and the reader is left to decide just what did happen, just what was the truth. Fantastic. Company of Liars appeals, so will see if the library has it. Have you read A Journal of the Plague Year by Daniel Defoe? 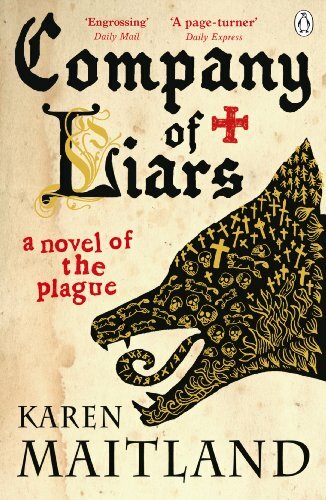 It’s the best plague book I’ve ever read. No, I haven’t read A Journal of the Plague Year, but I have it on my Kindle – it’s been there for 5 years!! That’s the drawback of e-books for me – it’s as though they’ve gone into a black hole, but I did remember that I had it when I read your question – so that’s good. I just need to remember to read it. Nice look back, Margaret. I’m not surprised to see the Vine included here. I think it’s a classic of that sort of psychological thriller. What a variety of books that took July honours! mmmmm Chocolat! I can’t believe I have still to read that book, despite reading a number of others by Joanne Harris. I will get there – hopefully before next July arrives! What a wonderful variety of books you’ve selected, Margaret. I would like to read Chocolat and reading your thoughts has made me want to even more! Loving your July choices; A Dark Adapted Eye is one of my favourite of all Barbara Vine stories and of course Chocolat was a huge hit. I now want to read the Karen Maitland, it sounds like my kind of read.